That's what we are going to debate, discover and design during the fourth annual learning experience design conference. Join members from the gobal LX design community on March 20, 21 and 22 in Amsterdam, the Netherlands for another memorable conference. 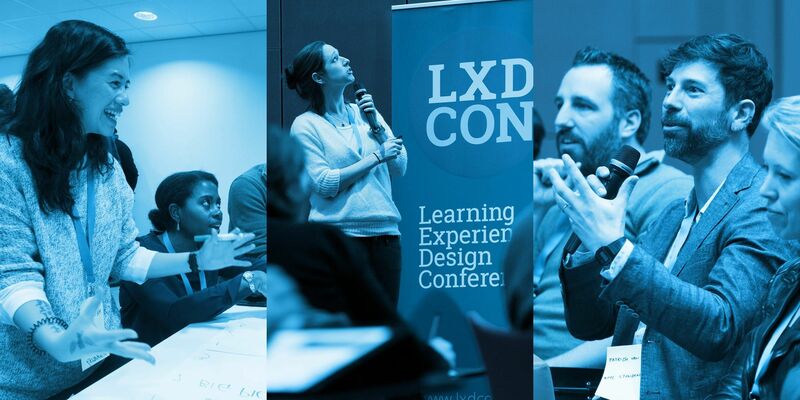 Wednesday March 20Learning experience design masterclass by Niels FloorAfter last years' sold out masterclass we are excited to anounce the LX design masterclass is back. Get hands on with the core concepts of learning experience design under the guidance of LX design pioneer Niels Floor. Seats are limited! Thursday March 21LXDCON Day IA festival of learning where we explore learning experience design in all its diversity. Make your own selection of talks, design sessions and experiences for a personal and powerful learning journey. Friday March 22LXDCON Day IIThe second day of LXDCON is going to build on what we've learned on the first day. Choose from a variety of activities and play an active role in the learning experience design community. Together we can (re)design how we learn and come up with more impactful learning experiences. Are you up for the challenge?